When it comes to planning a wedding, budgeting is one of, if not the, most important things to keep in mind. A common mistake that many brides make is not accounting for the extra hidden expenses that come with getting married. Here are ten expenses often overlooked that should be accounted for! The day of the wedding is hectic to say the least. Having emergency cash on hand is essential for all those last minute alterations and mishaps you may fall in contact with. It takes a lot of people to successfully put together a wedding. Be sure to set aside money to tip those who made you special day possible! Tip makeup/hair artists, photographers, drivers, DJs, and any other staff that made your day possible to express your gratitude. Your wedding day is more than just the ceremony and reception. The common wedding day starts at 9:00 am! Planning meals for yourself and your bridal party during the getting ready process is essential to making it through the day. Remember, the next time you’ll be eating is you reception dinner! Often times, people get caught up in the day and the party, that they want to extend hours of their celebration. Being aware of the overtime cost for the DJs, catering, and venue allows you to have the option of extending the party on later into the night. Some rental companies charge for more than just using their inventory. If the rental company charges for transportation of the products, you must make room for it in your budget. While this is a smaller fee, it is something people often forget about! 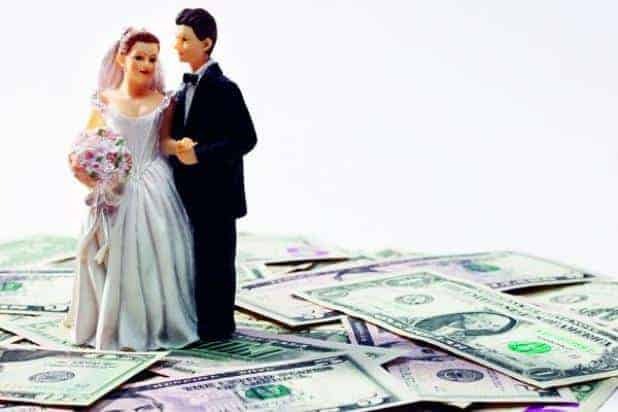 The standard marriage license fee in the state of Florida is $93.50, with a three day waiting period for Florida residents and no waiting period for non-Florida residents. Florida residents who have completed a premarital preparation course and can provide completion certificates will only be required to pay $61.00 and the three day waiting period will be waived. When submitting a head count to catering for number of meals, be sure to include the vendors working all day for your event. All photographer, videographers, planners, DJs, and any other staff outside catering themselves should be accounted for! Depending on the venue, valet parking may be the only option for you and your guests. Paying valet fees for your guests is a charge that changes depending on the venue selected. It’s also important to remember to cover valet for all staff, whether it be at the venue itself or the getting ready location. Often times a venue doesn’t have valet, but the hotel where you will be getting ready does. Be sure to cover valet for all photographers, videographers, makeup/hair artists, planners, and anyone else involved in the getting ready process. While stamps are extremely inexpensive, they definitely add up when it comes to sending save the dates, invitations, and thank you’s to every guest at you wedding! While smaller weddings have the advantage of less postage, it is not uncommon for the postage price to add up in the end. Unfortunately, the budgeting doesn’t stop at the day of the wedding. Many post-wedding expenses such as thank yous, photo prints, and gown preservations should be accounted for in the budget.